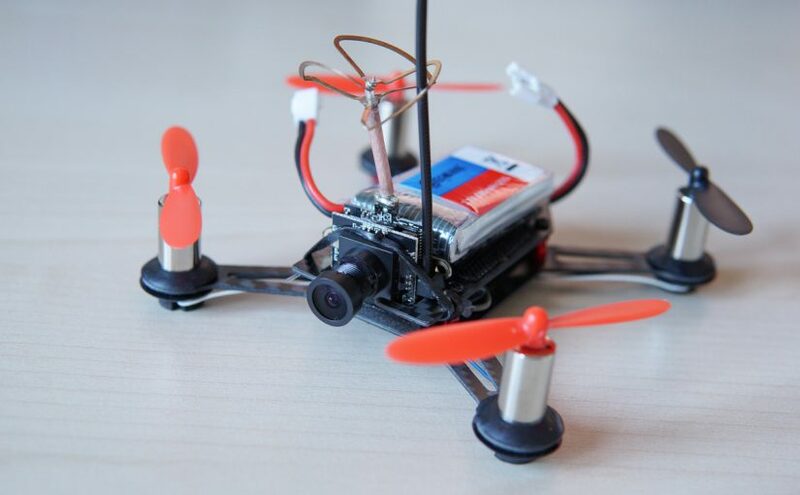 Most of them share the same F3 flight controller (with Cleanflight preinstalled), have 8.5mm motors & have the option of a FrSky receiver to bind straight to a Taranis. 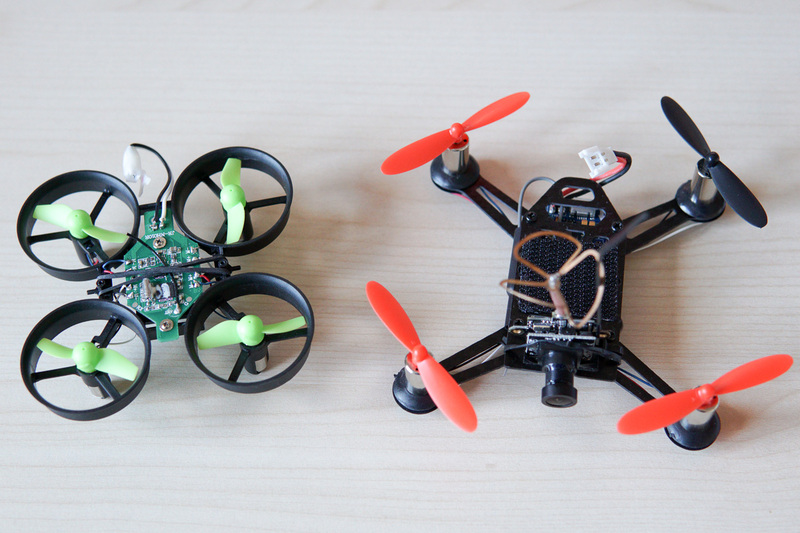 The similar offerings from JJRC are slightly different because they use an F1 Naze-like flight controller (iirc). 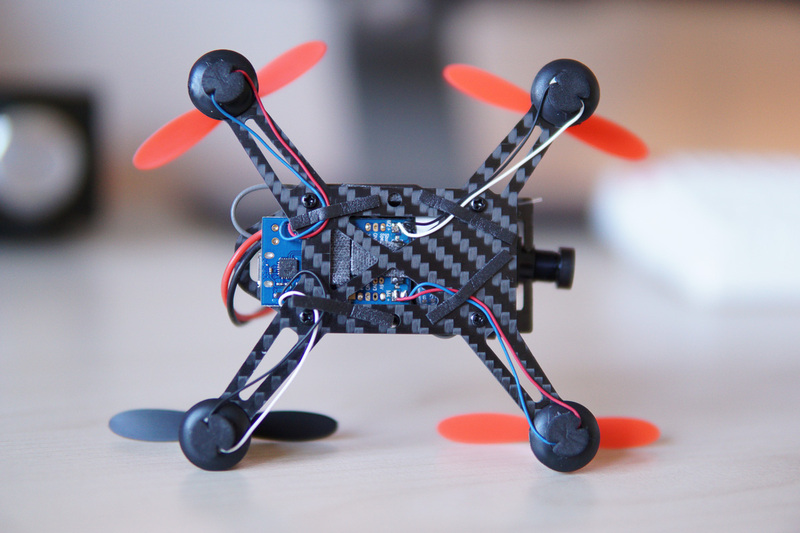 The design of the EX110 really will be familiar to anybody that’s built a miniquad, as it is literally a scaled down version of the familiar two layer carbon construction with aluminium hardware inbetween. The flight controller & the receiver are sandwiched between the two layers of carbon, with the receiver’s antenna routed onto one side. 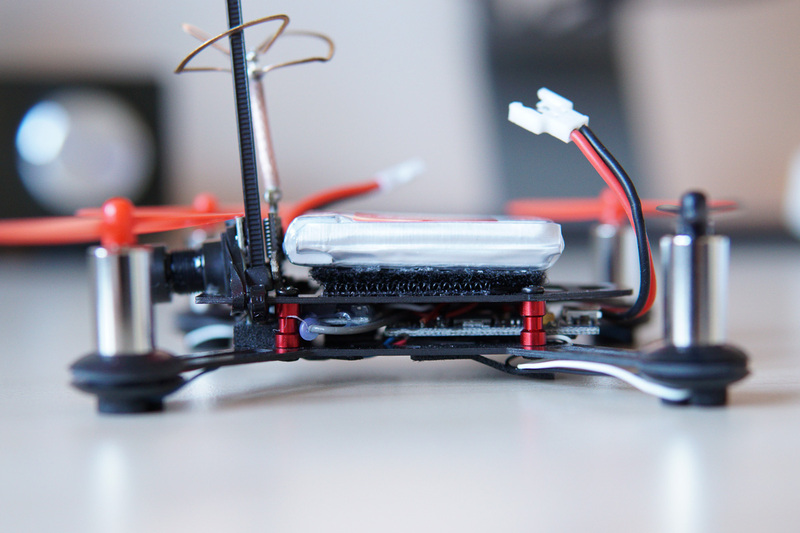 The AIO cam/vtx is mounted slightly differently on mine than how it was shown on Banggood – instead of glue holding it in place, there is an adhesive foam pad beneath & a rubber band over the top. 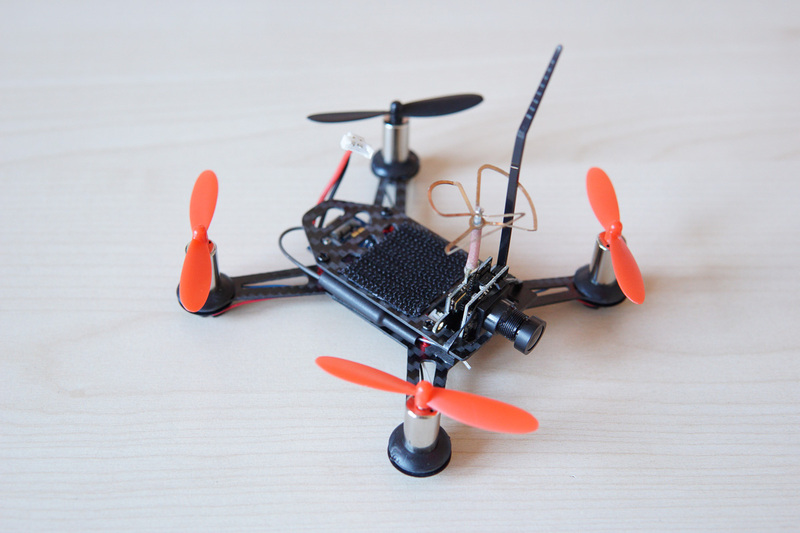 There were zero instructions included with the quad, but the cam/vtx is the common design with a single button where a short press changes channel while a long press changes band. The button is very difficult to access though, as it’s trapped on the left against the carbon fiber as you can see in this picture – you have to lift the camera up slightly before poking at the button with something thin, like the tip of a prop. Not had to replace a motor yet, but it looks like you might even be able to do it just be sliding the flight controller backwards slightly to access the solder pads for the rear motors – the front ones are already accessible. 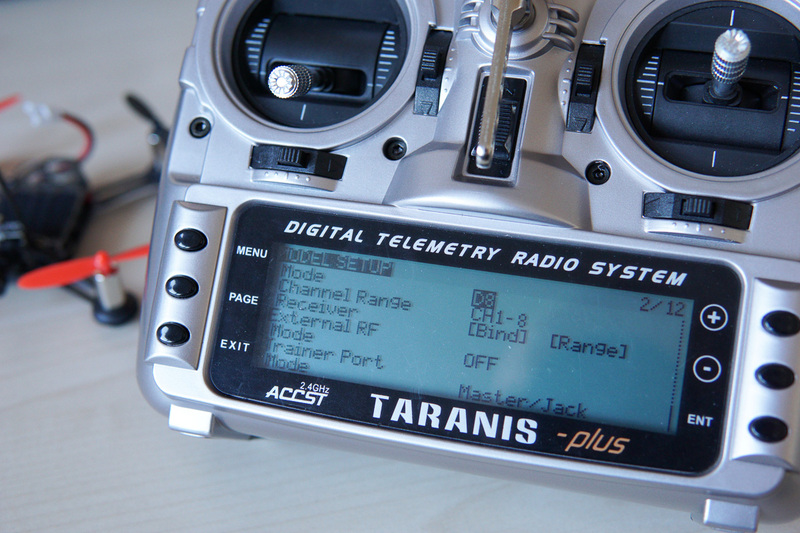 If you have a Taranis labelled as EU LBT (like mine), you’ll need to update the OpenTX software on it with the EU checkbox in the OpenTX Companion settings screen unchecked to enable D8 mode which is what this receiver needs. Take note that the 2.1.6 bootloader (which my Taranis shipped with) is broken & won’t connect to the Companion software until you update it! Not much in the way of flight footage to share yet, as I’m still getting to grips with the thing. 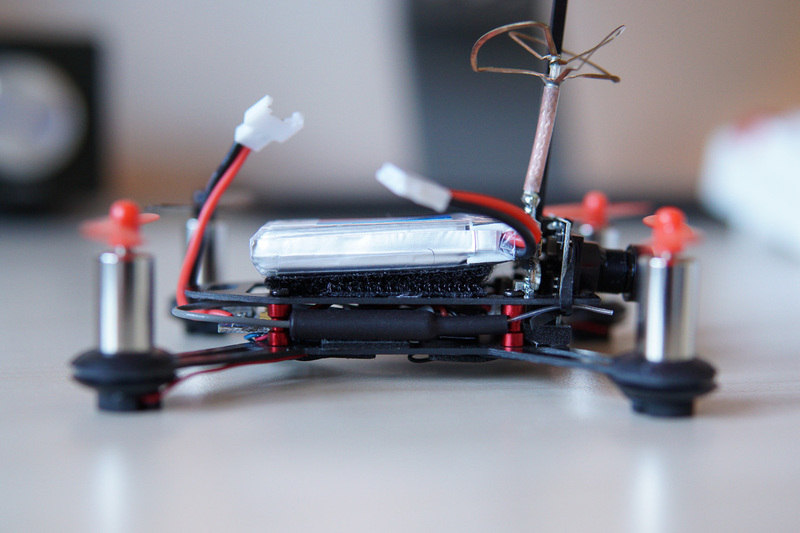 The factory PIDs seem pretty good, but the rates it comes with are crazy high for indoor flying, especially in acro mode. This quick clip was one of my first flights (in horizon mode) after dialing the rates down to literally 25% of their original settings – excuse the phone video, but it’s a lot better to watch than my awful DVR! 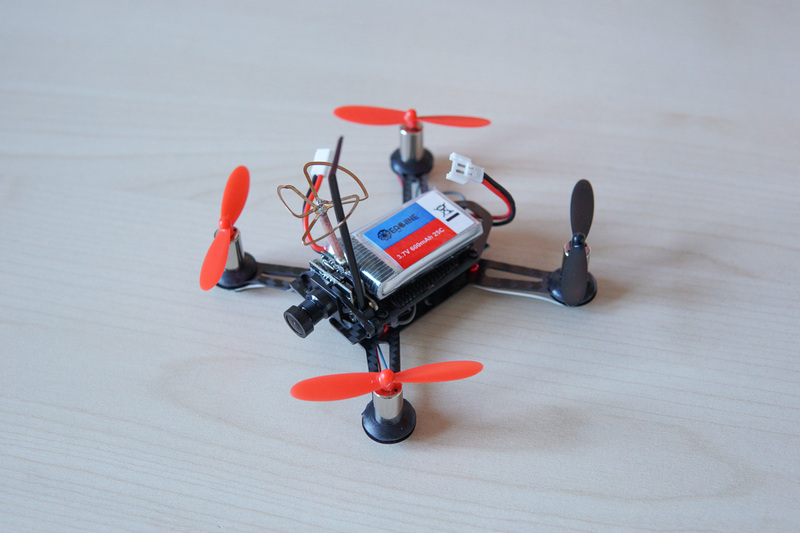 I bought the frsky receiver version of this quad, but I can’t find out how to put the receiver on the quad into bind mode. Can you help me on this please. 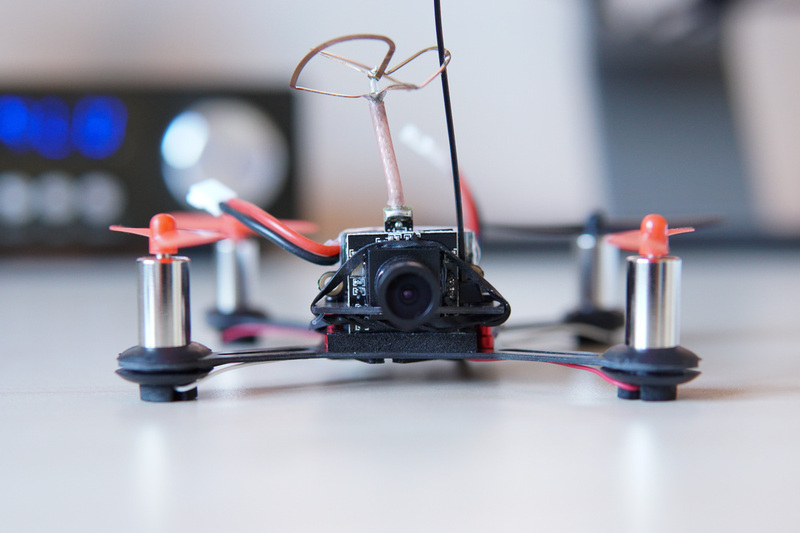 As like you said, absolutely no instructions with the quad. I know about the D8 bit. Thats fine. Its the quads bind i cant find. There is a button on the receiver itself which iirc is the bind button – it may be hidden/obscured by the top carbon plate though?